March means spring break, and we love to see families with kids in tow enjoying the beaches, taking paddleboard lessons, and being introduced to French food. Teens lunch on crêpes and swap out hamburgers for mahi-mahi burgers with house-made frites. And, of course, everyone seems to love the thin-crust pizza dished up at The Hideaway in St. Jean and Les Bananiers in Colombier. Remember, our Value Season pricing begins on April 16 (through December 14). That means a savings, on average, of 30% on villas and hotels. We are pleased to welcome Villas Chocolat and Enzuma to our portfolio. 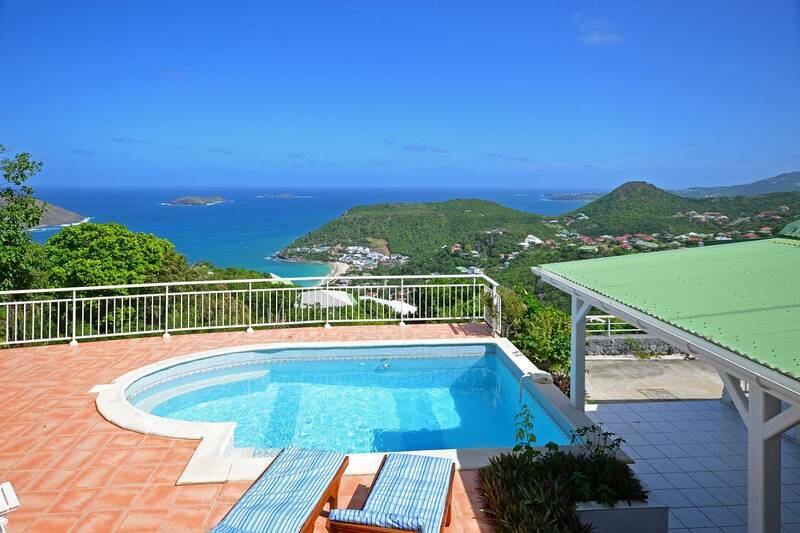 Villa Chocolat – This luxurious 4 bedroom villa offers a stunning view of the ocean and neighboring islands. The vista can be enjoyed from the spacious terrace and the poolside portico. Spectacular sunrises will wow early-rising guests. Built on two levels, the open floor plan includes smartly and comfortably furnished living and dining areas and a sleek kitchen with a breakfast bar. It is air-conditioned throughout. Three en suite bedrooms, all with ocean views, are on the main level. They all have king beds and dressing areas. Each has a TV equipped with French and U.S. satellite service, and Apple TV. The fourth bedroom is in a lower-level studio apartment with a living room, fully equipped kitchenette, and private terrace. Guests love walking around Toiny’s beautiful coastline. 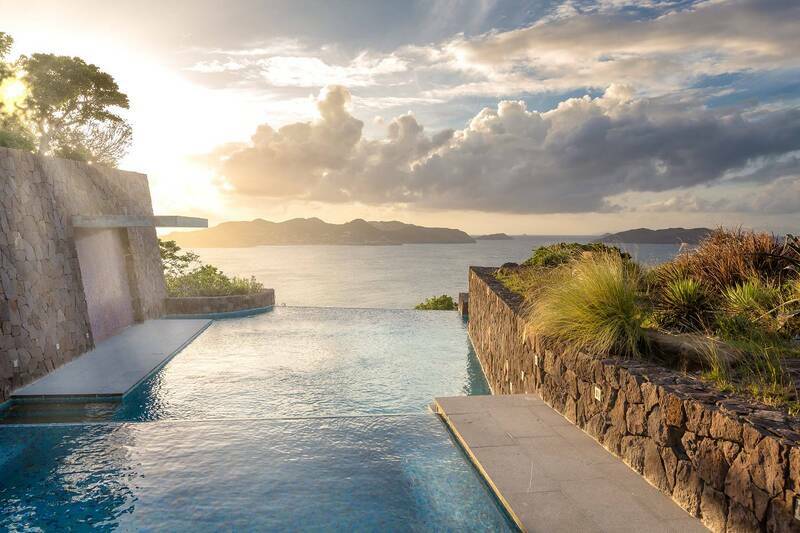 Villa Enzuma – Perched high above Toiny, Villa Enzuma is a true haven offering delicious privacy, serene comfort, and a sweeping view of the Caribbean Sea. Its contemporary décor is enhanced with colorful modern artwork by local artist Kate Kova. An open living area opens to a spacious terrace with an infinity pool. The terrace’s retractable roof provides the option of sun or shade for relaxing and alfresco dining. The master suite (queen bed) is on one side of the living area, with access via glass sliders to the pool terrace. Its private rear patio is an ideal spot for an in-villa massage. Two more bedrooms, both with queen beds, are on the opposite side of the living room and would be suitable for parents with children. The larger of the two has a dressing room, a double vanity, and a shower. Guests in this room would use the nearby guest WC. The smaller bedroom does not have its own bathroom facilities and would use the shower in the larger bedroom and the guest WC. How does a complimentary car, a dinner prepared and served by a private chef in your villa, and a relaxing vacation sound? Book a minimum stay of seven nights at one of the three villas participating in our Drive, Dine & Relax package, and we’ll have a Suzuki Jimny jeep or Nissan March reserved for you upon arrival, we’ll book the chef, and more. Enjoy! Validity dates: April 16-December 14, 2017. Rocamadour – This romantic 1 bedroom villa boasts beautiful views of Flamands. Enfin – With 2 bedrooms, Enfin is ideal for two couples to share. The sunsets are gorgeous! 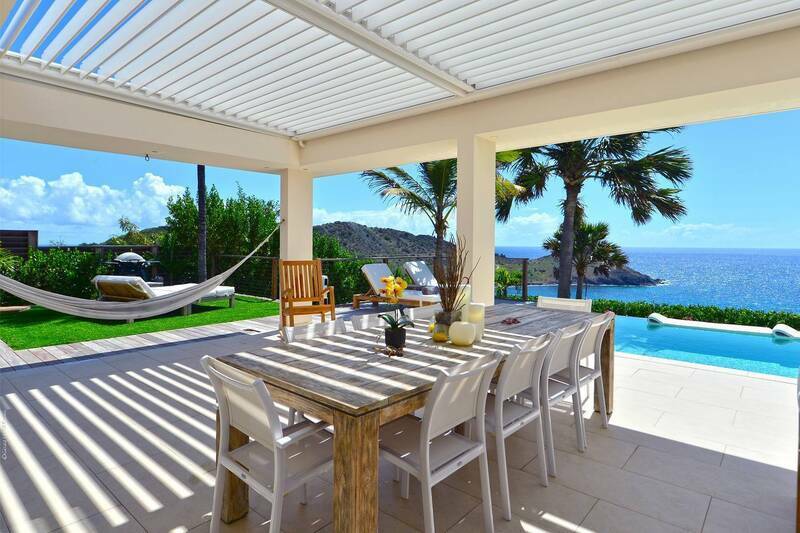 Matajagui – A stunning 2 bedroom villa with views, a gym, and a heated infinity pool. We are pleased to partner with the new 5 star Le Barthélemy Hotel & Spa to offer our clients some special Perks & Privileges that include the complimentary use of beach chairs pre-or-post-lunch at their restaurant Le Barth, a cocktail class and more. For additional details, see Peg’s Blog. If you are not already a subscriber, take a moment to sign up and receive the latest island insider information. The Tom Beach Hotel’s seaside restaurant La Plage offers a casual-chic feet-in-the-sand ambience, terrific food and loads of fun. There are theme nights (listed below) and special events. We’ll keep you updated. 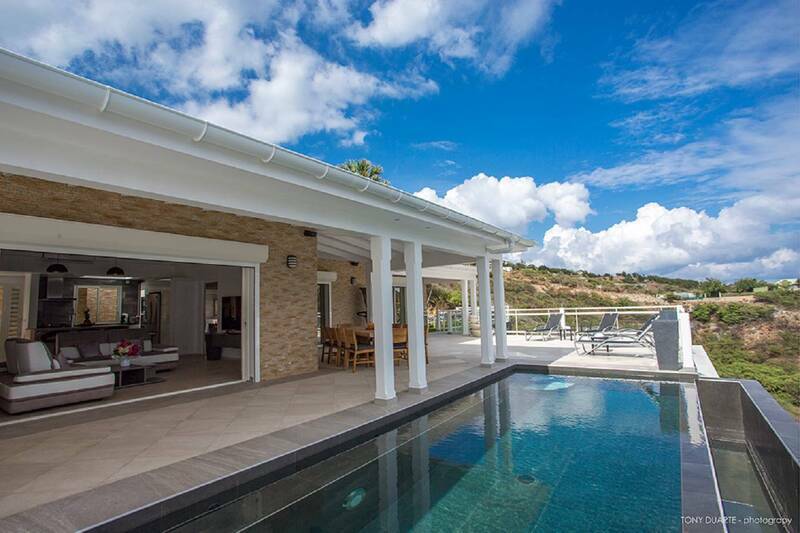 Well situated on Pointe Milou, this striking 3 bedroom villa offers privacy, tropical gardens, and a stunning view of the sea. Fiery sunsets are a bonus. Contemporary styled, the indoor space is open and airy, and includes living and dining areas. A chef-caliber kitchen has a separate entrance, and a guest bath is conveniently located nearby. The indoor and outdoor spaces blend beautifully and look out to a sweeping terrace with a two-tier infinity pool. An adjacent teak deck faces the water and features a private alcove and a charming gazebo. The two master bedrooms have sumptuous en suite baths that open via glass sliders to private Jacuzzis. The third bedroom is also en suite. All are air-conditioned. Screens and fans enable a delightful, natural night’s sleep. We loved Le Barthélemy Hotel & Spa. it was beautiful, and the staff and food were fabulous! We liked the protected cove location, which was great for paddle boarding, kayaking, etc. Having everything brand-new was tremendous. Overall an excellent relaxing vacation; hope to get back there soon!